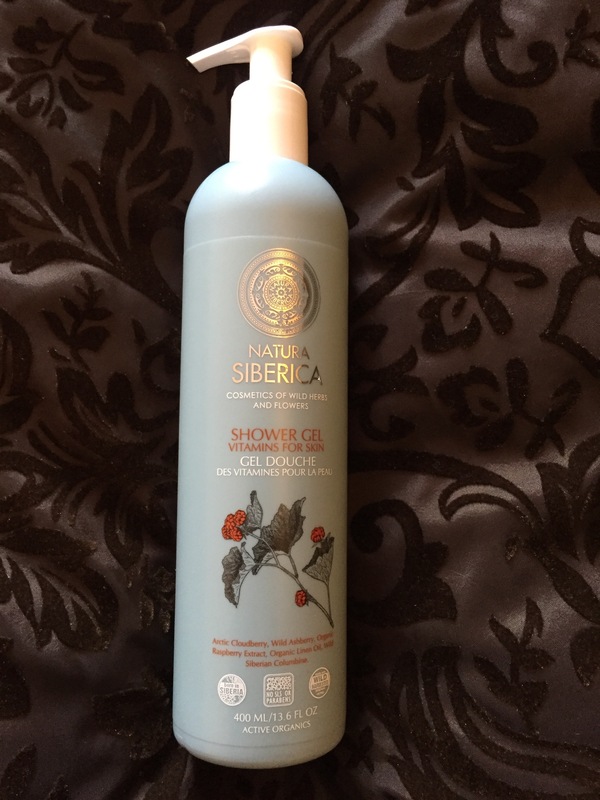 Natura Siberica is the first certified organic cosmetics manufacturer in Russia creating products formulated with wild-harvested Siberian herbs. The quality of Natura Siberica cosmetics is guaranteed by ICEA, ECOCERT and COSMOS STANDARD certificates. 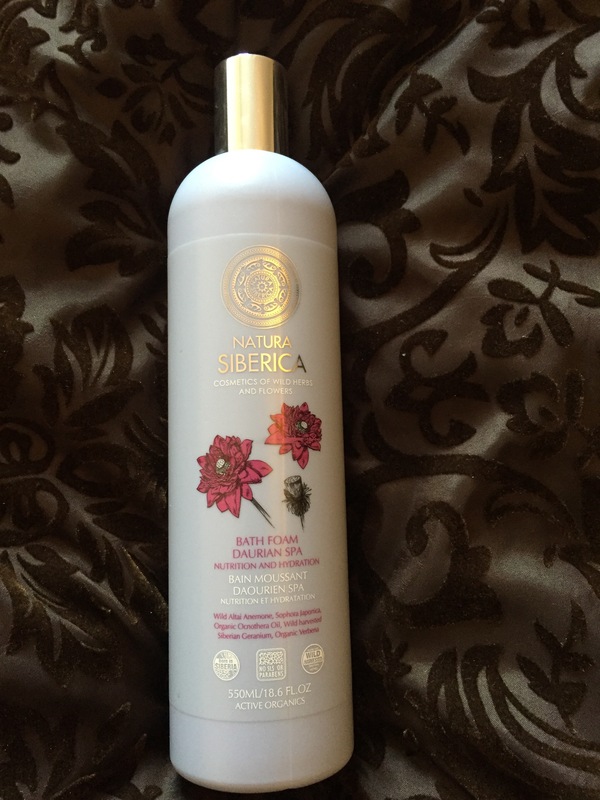 Natura Siberica is the only Russian company to have been recognised as the BEST GREEN BRAND at Cosmoprof 2012 (Bologna), and which was admitted into the COSMOS-Standard AISBL. Their products are formulated WITHOUT: Parabens, Sodium Lauryl Sulfate (SLS), Sodium Laureth Sulfate (SLES), Polyethylene Glycol (PEG), Silicones, Synthetic Fragrances, Synthetic Dyes, Glycols, Mineral Oils. I first came across this brand at the Natural & Organic Products Europe trade show where they won an award for BEST ORGANIC MOTHER & BABY PRODUCT. 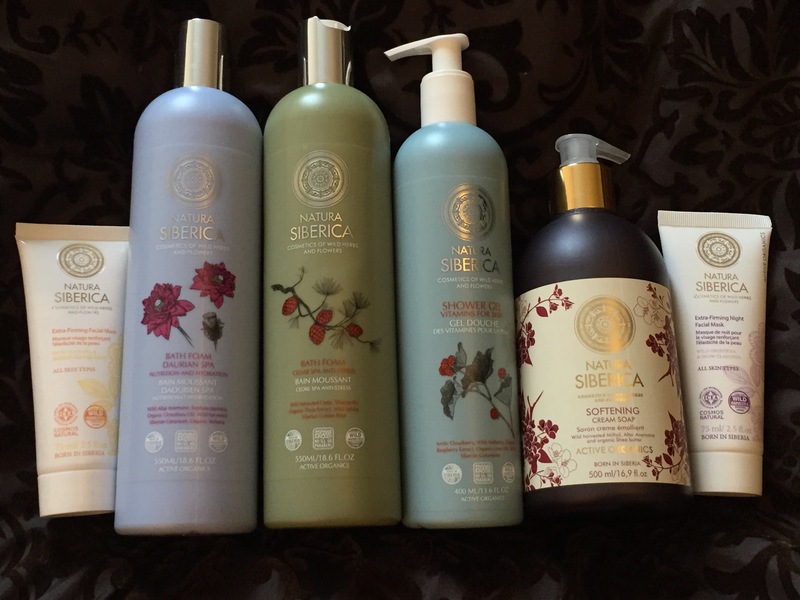 I got to try a few sample products which I loved so I decided to buy some of their products. Extra-Firming facial mask has been specially created to take effective care of mature skin. Made from Snow Cladonia, which stays green even during severe Siberian winters, it rejuvenates the skin by lifting the features and redefining facial contours. Siberian Golden Root is highly renowned for its fantastic adaptogenic porperties. It protects and strengthens skin, smoothing away lines of beautiful skin that looks firmer, brighter, and younger-looking. How to use: Apply mask on dry clean face, avoiding eye and lips area, leave for 15 min. Rinse the face with warm water until all traces of the mask has been removed. For best results, use mask twice a week. My thoughts: I have combination skin which is also dehydrated and dull looking. I enjoy using this mask. 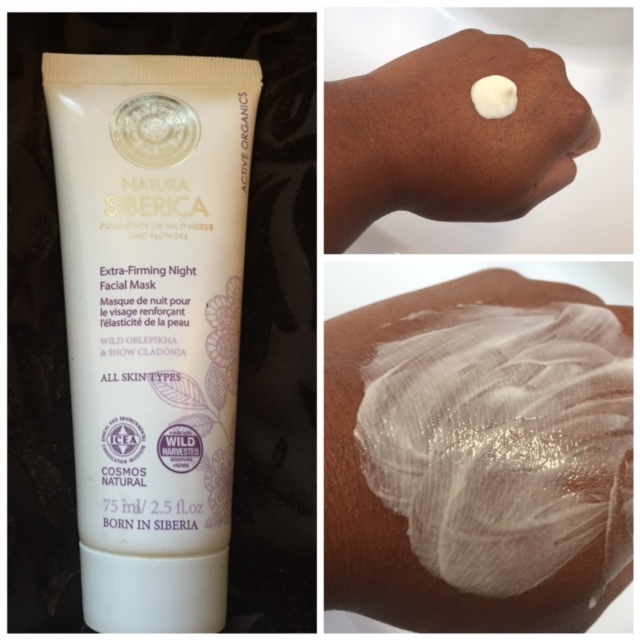 It leaves my skin feeling hydrated, soft and smooth. It has a lovely scent too. This very gentle facial mask has been designed to correct wrinkles during the night, when the skin is most inclined to recovery and rejuvenation. Wild Oblepiha, rich in vitamins and polyphenols, deeply nourishes and revitalizes the skin. Thanks to Snow Cladonia, which stays green even during the harshest Siberian Winters, the mask provides a skin rejuvenating effect, slowing the aging process, lifting features, and redefining facial contours. How to use: Before going to bed, apply mask on dry clean face, avoiding eye and lips area. No need to rinse off. For best results, use this mask twice a week. My thoughts: This mask has a calming scent which is great for bed time. It is easy to apply and absorbs well into the skin. My skin looks and feels nourished in the morning. 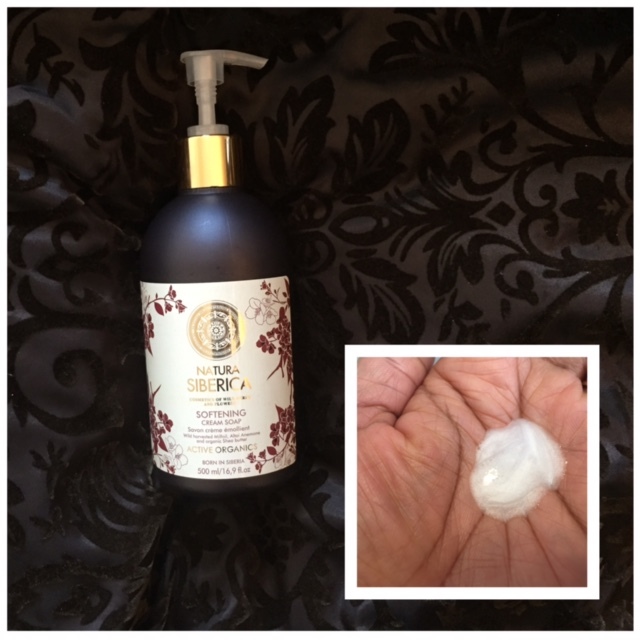 My thoughts: This is a great hand soap and really does leave my hands silky smooth and soft, and like all the other products has a sweet scent. 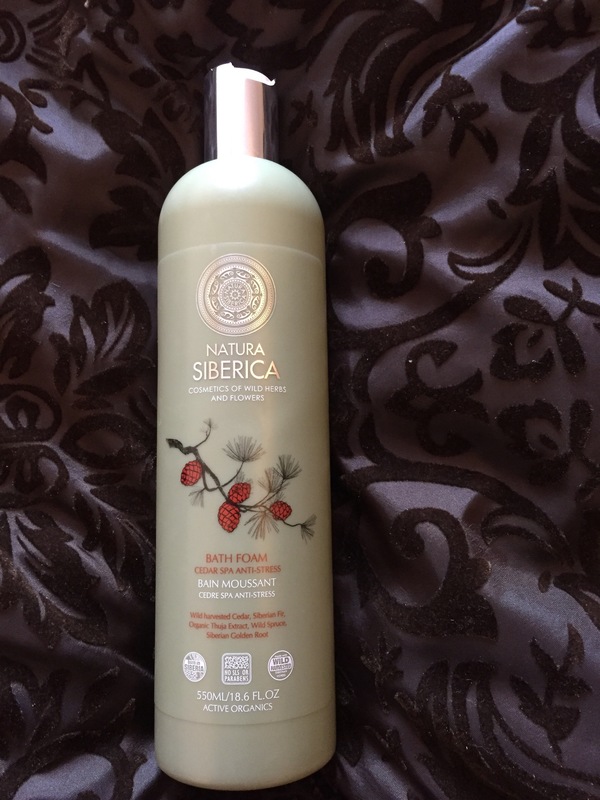 This fruity cocktail is a nourishing blend of plant extracts from Siberia and the Far East including Arctic Cloudberry, Wild Ashberry, Organic Raspberry Extract, Organic Linen oil, Wild Siberian Columbine. Its sweet sensational aroma will surely lift your mood and leave you feeling refreshed and revitalised. My thoughts: First of all this shower gel smells amazing! The pump makes it very easy to use in the shower. This is now my 3rd bottle as my hubby loves it as well. It cleanses the skin and leaves it feeling soft and smooth. Natural essential oils soak stress away and improve your mood. Plunge into the mysterious and enigmatic world of the cedar taiga with “Cedar SPA” bath foam. Cedar is a unique plant that has long been famous for its healing properties and powerful energy. The foam contains extracts and oils (Siberian cedar oil, golden thistle, crowberry, red juniper extract Oil, black alder cones, mountain pine, clary sage oil, pine soft resin) to help relieve fatigue, and which have a beneficial effect on sleep. This fragrant foam has a relaxing effect and gives your body a feeling of joy and comfort. Feel the power of natural ingredients and the vitality of cedar in velvety clouds of foam bath. My thoughts: On those rare evenings when I get some ‘me’ time I love to have a nice warm bath to relax. Cedar oil is soothing and grounding which helps me relax. It has a lovely earthy aroma which I love. Definitely a must have for me! Plunge into the pleasure of the relaxation in a warm bath with fluffy foam of Daurian SPA. Wild Altai Onemone has not only an exquisite flavor but also excellent soothing and healing effect. Natural oils included have a soothing and nourishing effect on skin. Delightful fragrance with notes of Siberian herbs calms, helping to cope with nervous tension. 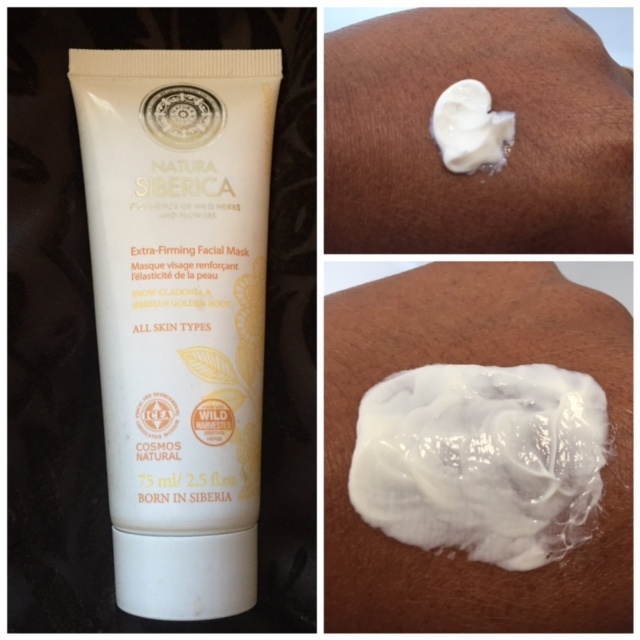 Air foam takes care of skin and gives you a unique SPA-care at home. My thoughts: Another great bath foam which smells yummy. It leaves my skin hydrated and soft. I have to say I’m very impressed with this brand, I find their products affordable and very effective. I look forward to trying out other products. Have you heard of this brand or used any of their products? Please feel free to leave any comments below.